A special session marking the ‘Big Fifty’ anniversary of the Bisphosphonates and what the future holds for this the most widely used class of anti-resorptives after bone building drugs and biologicals have become widely available to prescribe. 11:55 – 12:05 Treatment of Osteoporosis – New insights into an old story? Treatment and prevention of bone metastasis – fact or fiction? Future direction – Where do we go from here? Interested to hear more ? 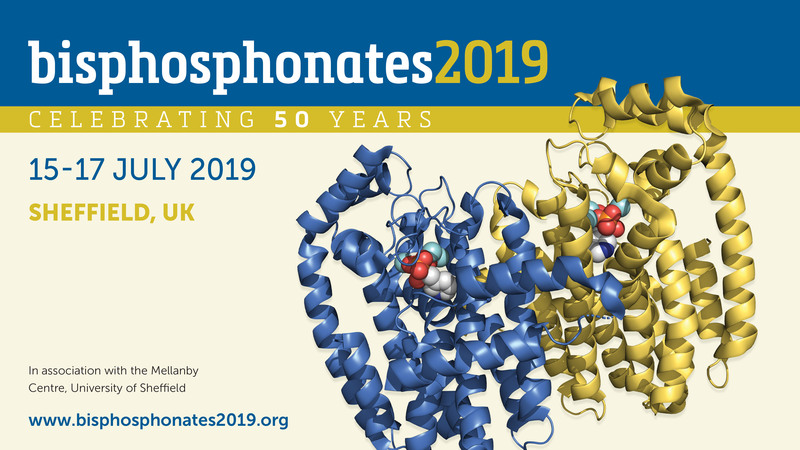 Join us in Sheffield for bisphosphonates2019, celebrating this golden anniversary. The meeting to be held from 15-17 July 2019, will review developments over the past 50 years, discuss our current understanding and look at what the future may hold.